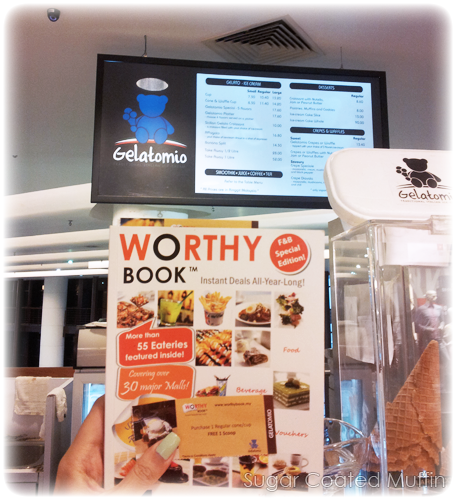 One very hot day, my Worthy Book & I headed to Times Square and we dropped by Gelatomio for a cool treat. 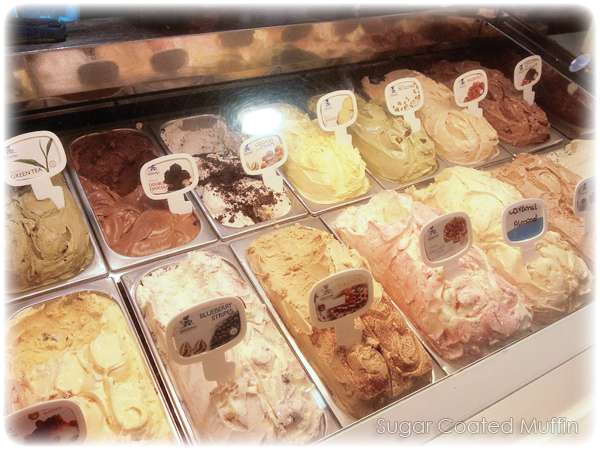 Le bf had his heart set on Rum & Raisin but look at all these! I couldn't decide at all.. 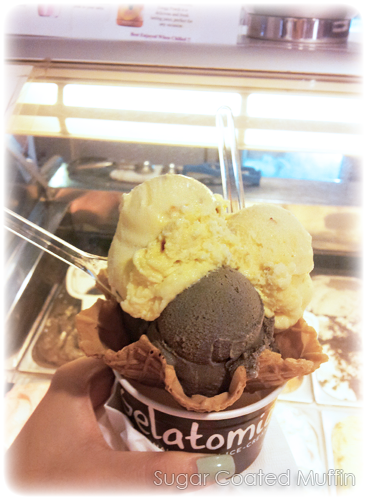 I wanted Double Chocolate but at the same time, I craved for Black Sesame. 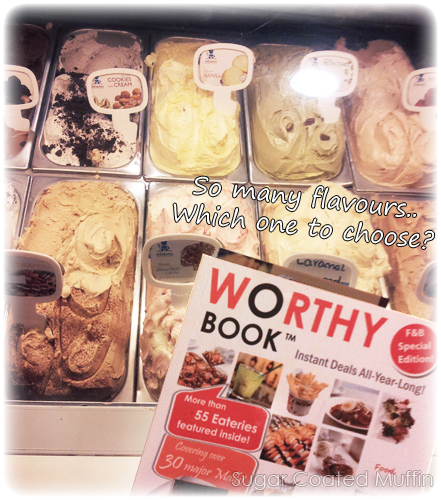 Then my eyes dashed over to Mint too. 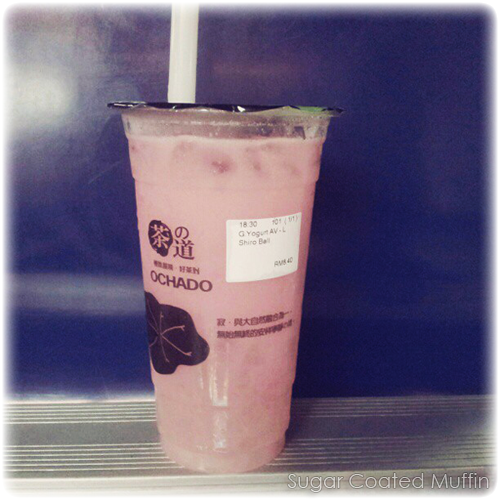 On another hot day, I also managed to get my favourite Ochado drink with a discount. Grape Yogurt with aloe vera and shiro ball! The current booklet is expiring end of March so make sure you keep your eyes on their Facebook page to see when the next edition is coming out! Looks yummmz! And oh, I tried Ochado when I was in Melaka! I love itttt. So yummy.